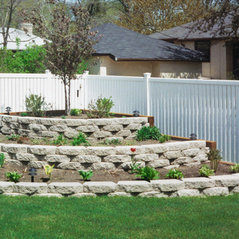 This company provided and installed SimTek Ecostone fencing for this project. Minor adjustments were required and dealt with in a timely manner. Excellent job, very good cooperation with the installers. 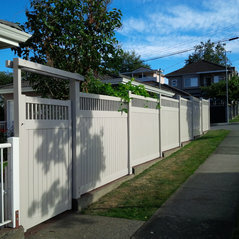 The fence looks professional and is a great improvement of my property. Fabulous service! High quality products! Rave reviews for street appeal too. Showed up on time, cleaned up after themselves and completed project on time. Ben was wonderful to work with. 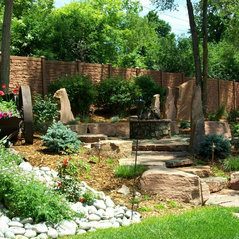 He was very knowledgeable and came with many ideas and suggestions for a tricky backyard design! 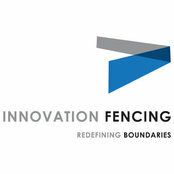 I would definately recommend innovation Fencing to everyone! Commented: Where do you get the letters?Very modern looking!